This sunshiney soul contributes endless amounts of bliss to our studio. She's gearing up for another terrific Tribe season, meeting the yoga needs of the baseball players among the whole Indians organization. I came to yoga after an old sports injury made running difficult. A friend suggested I try yoga and I was very resistant thinking yoga wouldn’t give my body and mind that same feeling I loved from running. After my very first class I walked out of the class sweaty, wrung out, challenged in so many ways, yet felt so at ease. I fell in love with the practice never looked back. That feeling that I get that I actually couldn’t find the words for for a long time. Balance. The balance that the practice offers is what brings me back over and over again. Effort and ease, strength and softness, expansion and contraction, the inhale and the exhale. We often find ourselves pushing, doing, thinking, moving ahead of the moment we are in and yoga gives me the awareness to bring balance back in to my body, mind and heart. What is the best part about teaching at Inner Bliss? The best part about teaching is being the witness to a room full of amazing students breathing and moving together! The power of the collective breath and all of the magic that occurs during a class is a life changing experience every single time I teach. From the moment the students take their first mindful breath to the complete surrender of savasana I am both humbled and honored to hold space for all of it. It lights me up! Such a good question! Right now the hardest part is making my own practice a priority. I am teaching a lot and I love every minute of it but it makes finding time to practice a little tricky. But even as teachers we are forever students of the practice. It’s a mindful choice I have to make to unroll my mat. The more I practice the more my teaching evolves. What is your role with the Cleveland Indians/Inner Bliss partnership? How did this evolve and will it continue in the 2018 season? Inner Bliss Yoga Studio is the official Yoga provider for the Cleveland Indians and their affiliate teams. We have an amazing team of teachers at Inner Bliss that works with the teams and I am so happy to be a part of it. This is our third season teaching to the teams and we are all so excited for the 2018 seasons to begin. Tammy and I have had the opportunity to go to Arizona for Spring Training twice. We recently returned from the second trip, where we continued to learn how to best meet the needs of the players and the organization. It was such an awesome experience to spend time with the Indians at their training facility. I have also traveled to Lynchburg, VA to spend time training the team of teachers who teach to the affiliate team there. We also do an annual Bliss at the Ballpark event which is a large scale yoga practice at Progressive Field. It’s was an indescribable feeling to teach a class in what is literally a field of dreams. It has been awesome to work so closely with some of the teachers at Inner Bliss who truly make this offering possible. Our tribe of teachers love The Tribe! 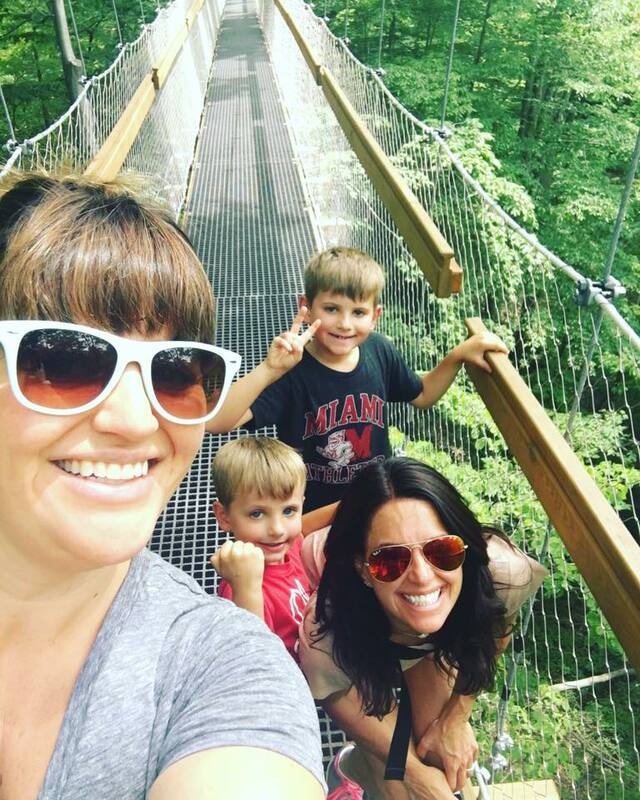 Fun fact: Katie and blissmaker Kerrie Johnson are sisters!